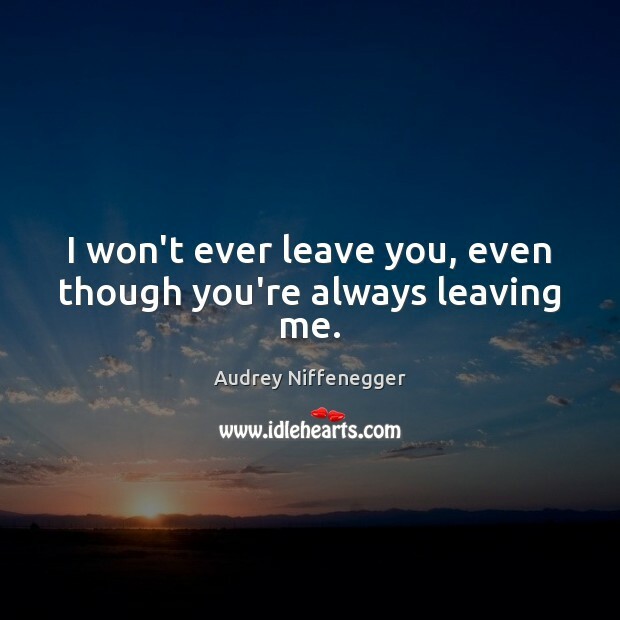 Enjoy the best inspirational, motivational, positive, funny and famous quotes by Audrey Niffenegger. Use words and picture quotations to push forward and inspire you keep going in life! There is only one page left to write on. 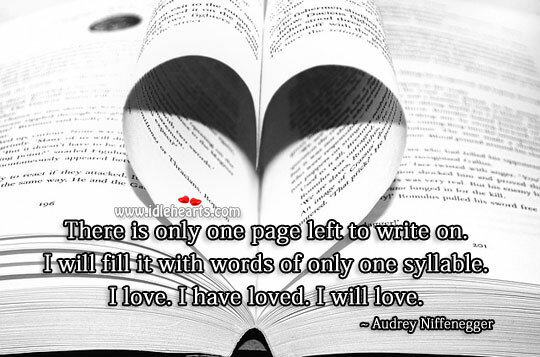 I will fill it with words of only one syllable. I love. I have loved. I will love. 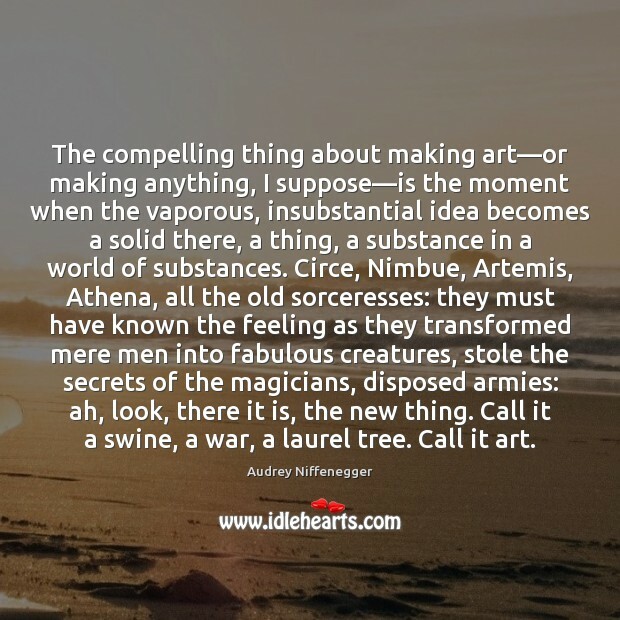 The compelling thing about making art—or making anything, I suppose—is the moment when the vaporous, insubstantial idea becomes a solid there, a thing, a substance in a world of substances. Circe, Nimbue, Artemis, Athena, all the old sorceresses: they must have known the feeling as they transformed mere men into fabulous creatures, stole the secrets of the magicians, disposed armies: ah, look, there it is, the new thing. Call it a swine, a war, a laurel tree. Call it art. 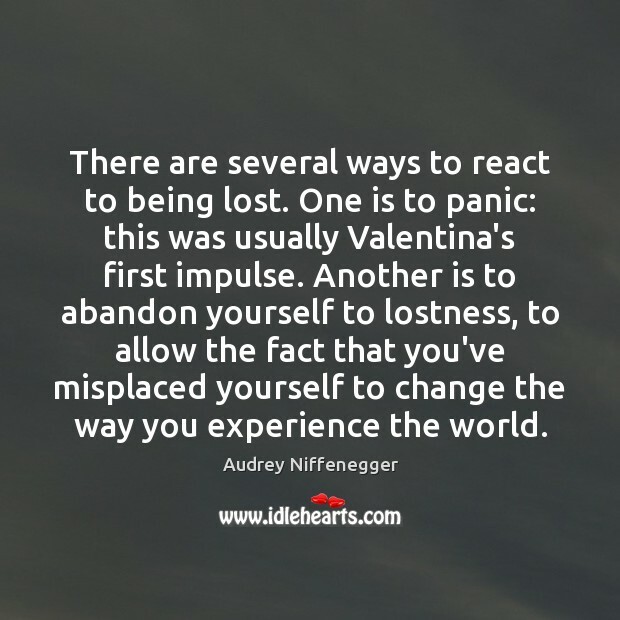 There are several ways to react to being lost. 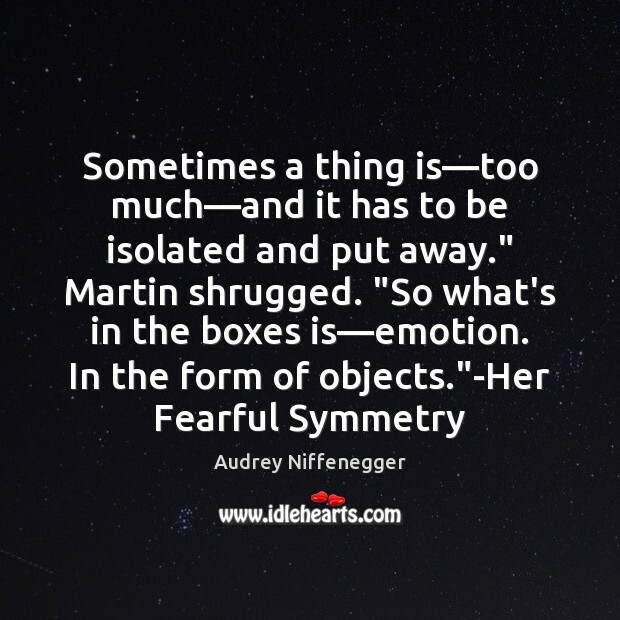 One is to panic: this was usually Valentina's first impulse. Another is to abandon yourself to lostness, to allow the fact that you've misplaced yourself to change the way you experience the world. 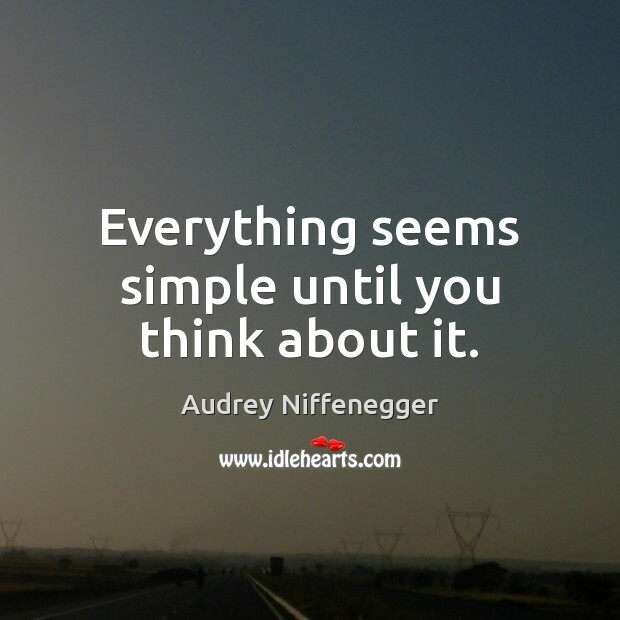 Everything seems simple until you think about it. 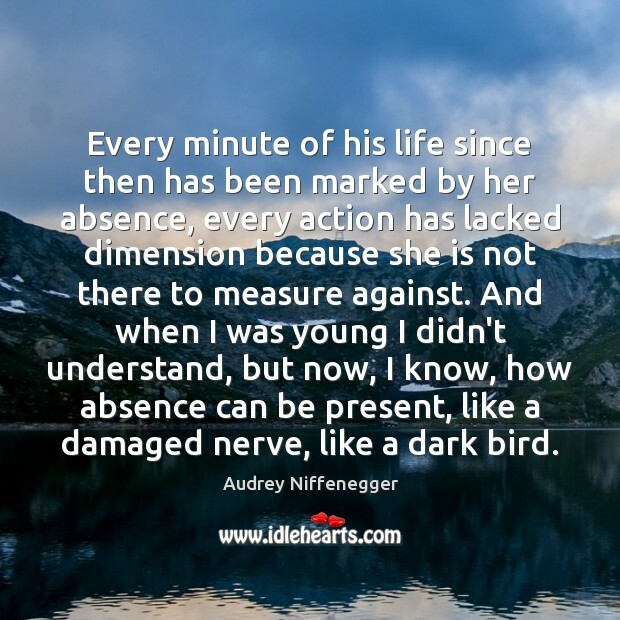 Every minute of his life since then has been marked by her absence, every action has lacked dimension because she is not there to measure against. And when I was young I didn't understand, but now, I know, how absence can be present, like a damaged nerve, like a dark bird. 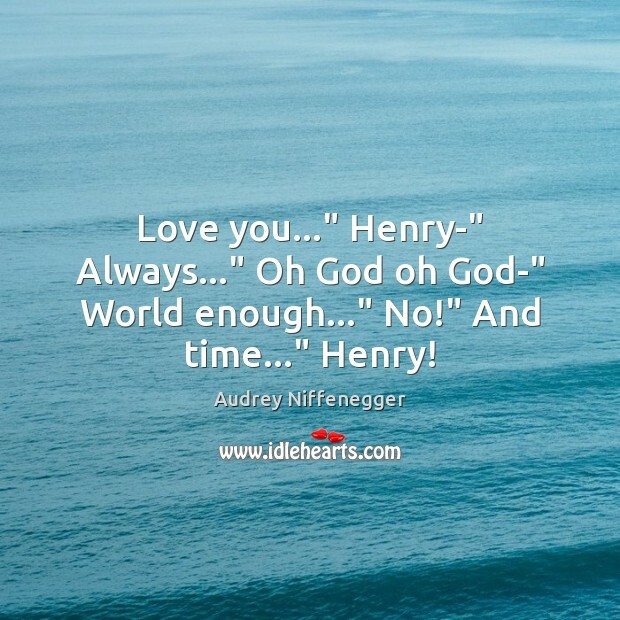 Love you..." Henry-" Always..." Oh God oh God-" World enough..." No!" And time..." Henry! What we need,' Henry says, 'is a fresh start. A blank slate. 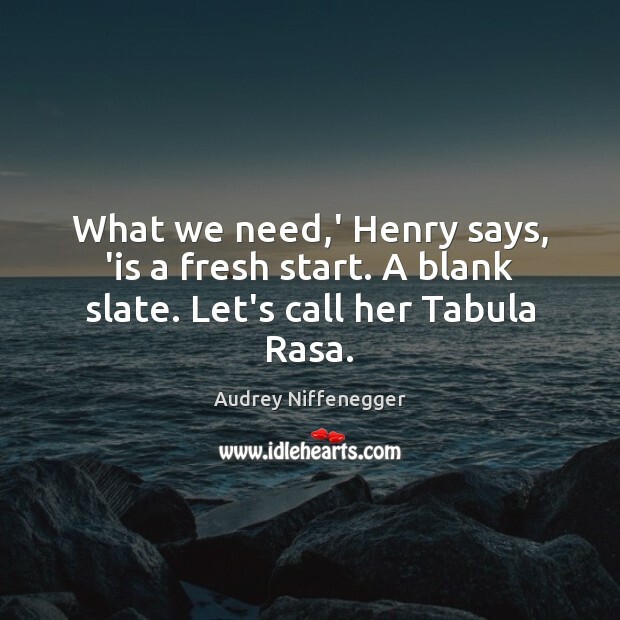 Let's call her Tabula Rasa. 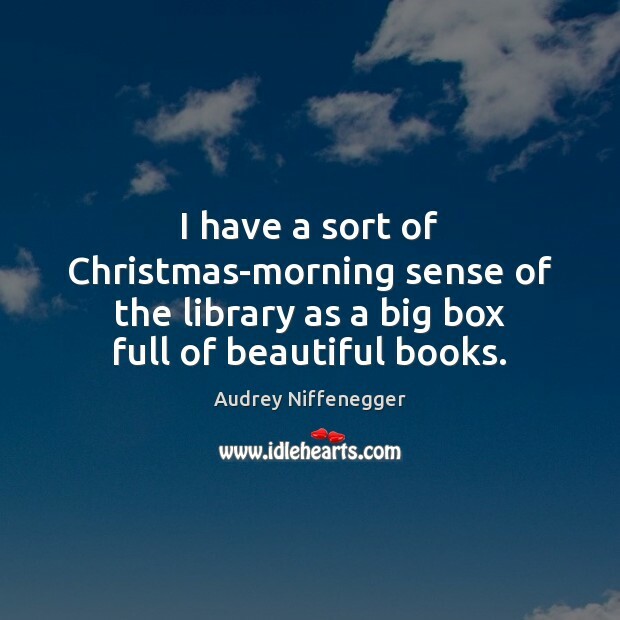 I have a sort of Christmas-morning sense of the library as a big box full of beautiful books. 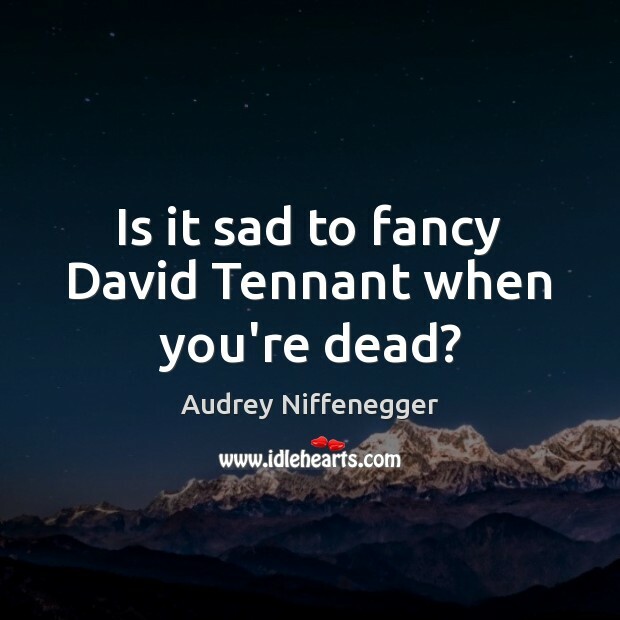 Is it sad to fancy David Tennant when you're dead? 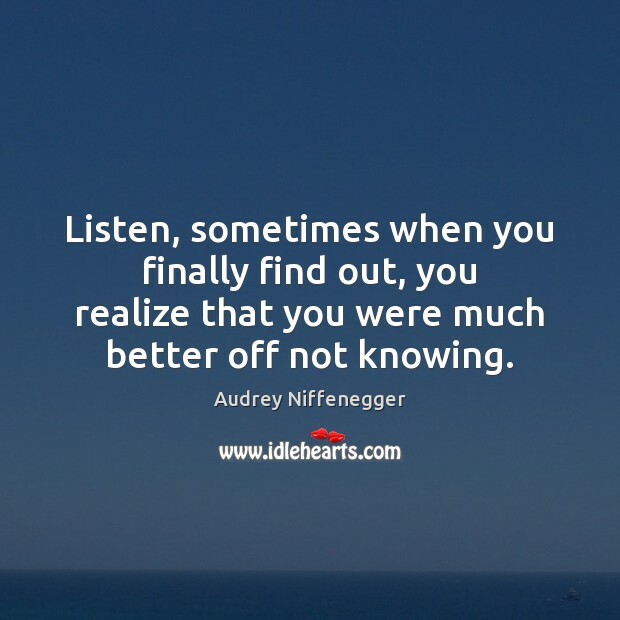 Listen, sometimes when you finally find out, you realize that you were much better off not knowing. 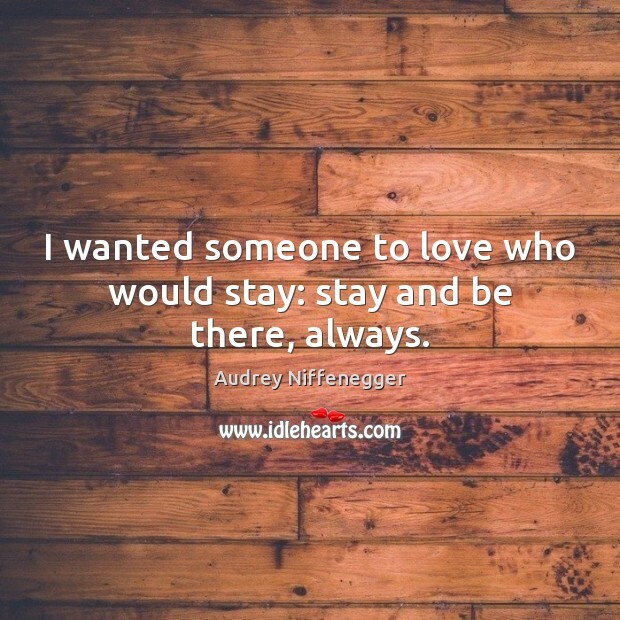 I wanted someone to love who would stay: stay and be there, always. 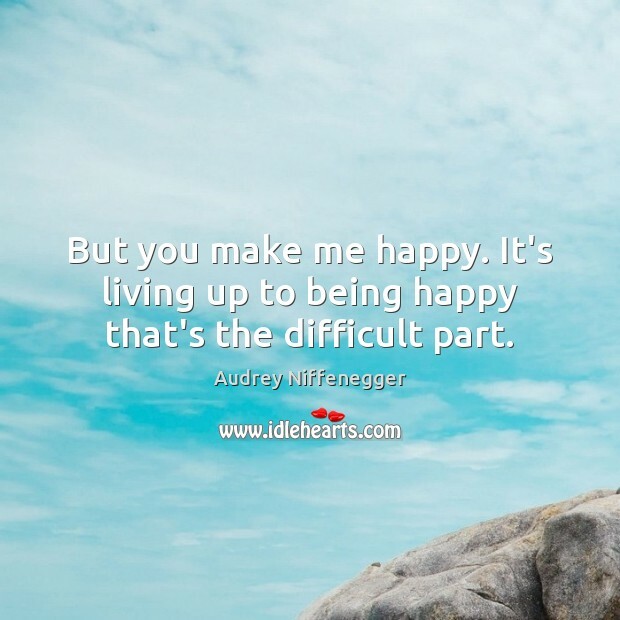 But you make me happy. It's living up to being happy that's the difficult part. Oh. A bigger studio. 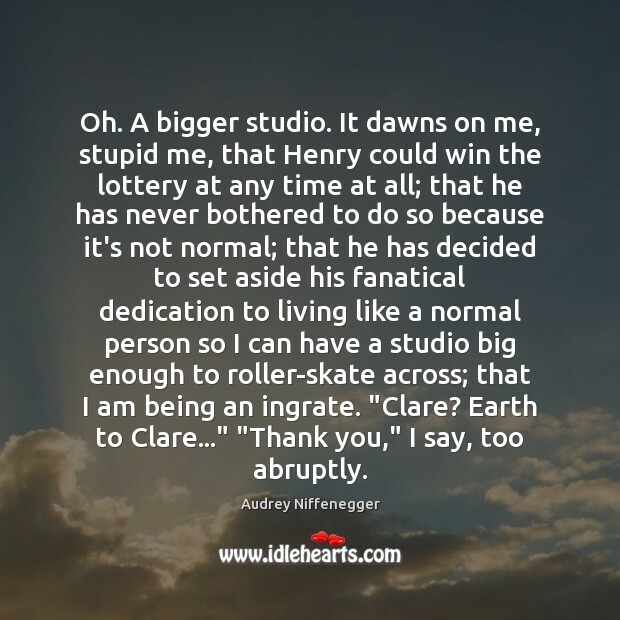 It dawns on me, stupid me, that Henry could win the lottery at any time at all; that he has never bothered to do so because it's not normal; that he has decided to set aside his fanatical dedication to living like a normal person so I can have a studio big enough to roller-skate across; that I am being an ingrate. 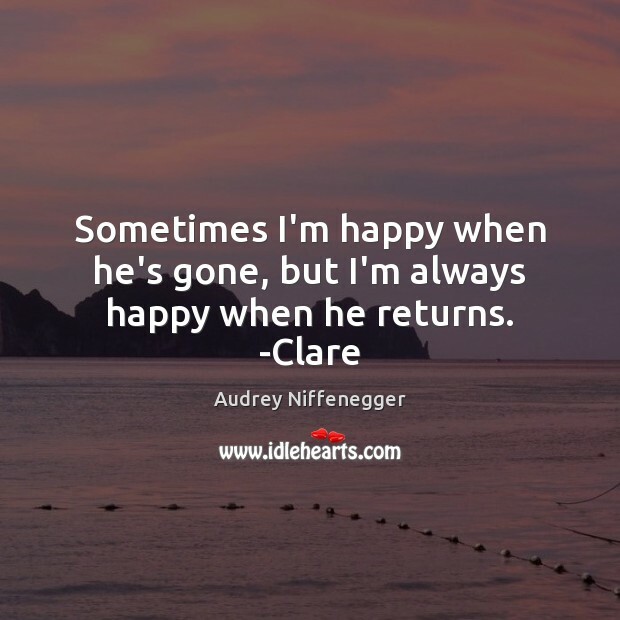 "Clare? Earth to Clare..." "Thank you," I say, too abruptly. I breathe slowly and deeply. 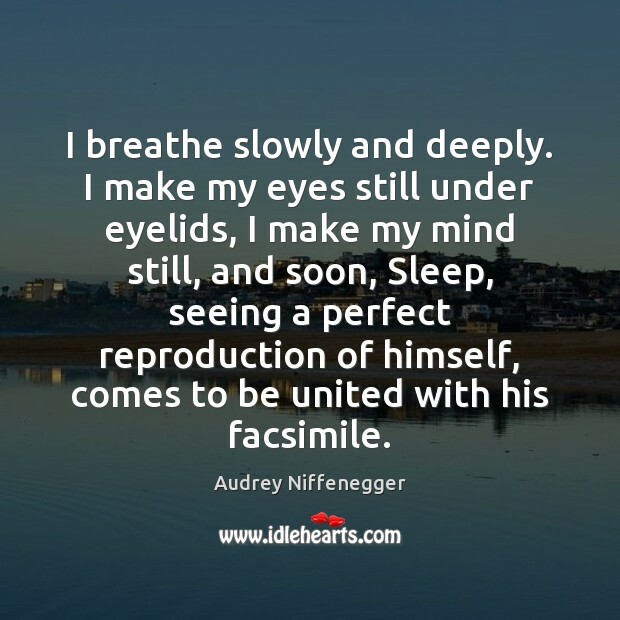 I make my eyes still under eyelids, I make my mind still, and soon, Sleep, seeing a perfect reproduction of himself, comes to be united with his facsimile.